I’ve been meaning to write about Dachau for some time now, but it’s a very difficult post to write–it’s unpleasant, it’s uncomfortable, and it’s just hard to get the words to say anything right. Something about the very shape and logic of language makes it the wrong vehicle to express anything about the Holocaust– where’s the shape or the logic to such atrocities? But the post will get written. . . someday. For now, I offer a photo of stones on the path by the barracks. They struck me as very beautiful and appropriate to the place: thousands of small stones, smooth and beautiful, but some so violently broken, to remind us not only of the atrocities of the place, but of the beauty of the souls who passed through. It seemed a fitting and reverent image to remember the victims of Dachau by. I know what you mean, it’s upsetting to even think about the place and difficult to put the experience into words (I did attempt it). I remember leaving the premises with a very heavy head and a heavy heart – what’s scary is that the circumstances under which the Nazis rose to power (and got intoxicated by it) don’t seem too different from what’s happening in some parts of the world, even today. Looking forward to your post on this. Human nature hasn’t progressed as much as we’d hope, has it? It’s very sobering. I do hope that I can find the right way to write about Dachau–honestly, part of my problem is that while it was sobering and horrible to visit, it wasn’t horrible enough. How can you walk through Dachau on a full belly, healthy, and unafraid and still feel like you understand the horror? It’s a strange experience, you know. But I’m kind of happy (‘happy’ doesn’t sound right in this context) that they’ve opened the sites to the public – we won’t learn until we know. I totally agree it is very difficult to write, I am saving it for later. Yes, I keep pushing it off–don’t really want to think about it. But it still sits there waiting, refuses to go away . . . so some day I’ll write. 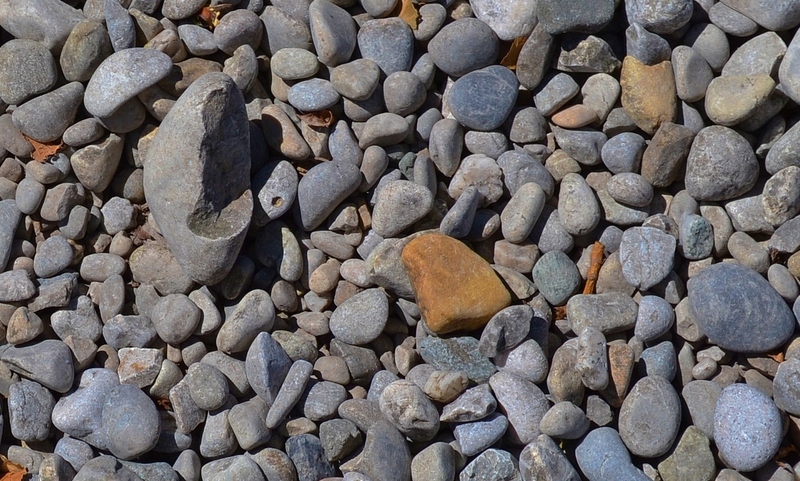 I think your photo of smooth, rough, round, broken and all different shapes and colors of stones is perfect. It did seem poignant to see those rocks underfoot on the path; I’m so glad it resonates with other people too. So difficult to write about things like this – totally agree. I remember visiting a concentration camp in Poland and feeling just horrible for days afterwards. So upsetting. Yes, an uncomfortable topic, but also one that won’t be ignored, right? Sometimes a picture really does paint a thousand words. Thank you for sharing this. It did seem appropriate. Thanks for reading.